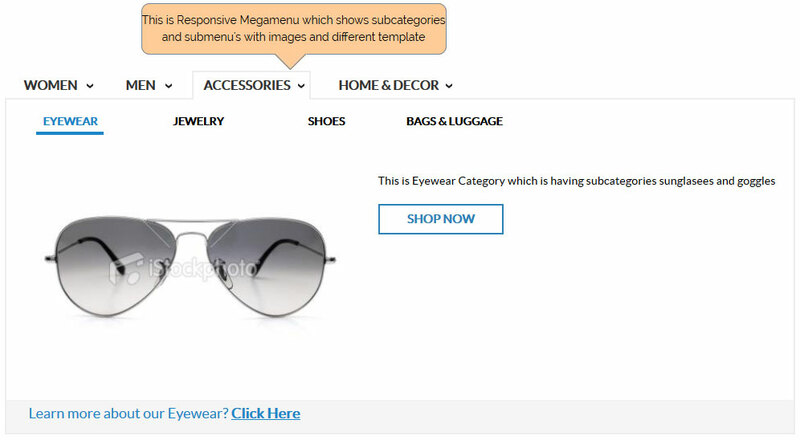 Makes your online store navigation menu more lively and professional with Responsive Mega Menu Extension. 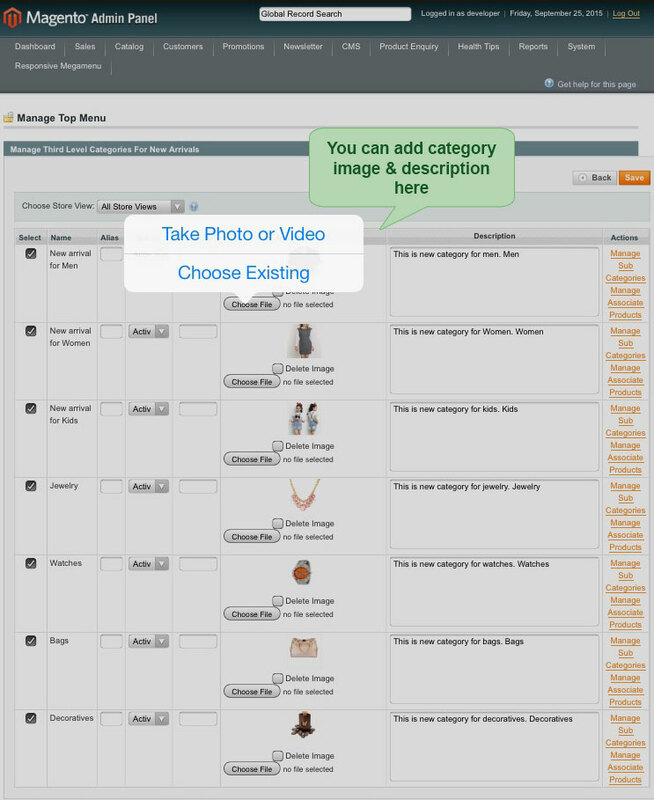 Customize your online store top menu drop downs to attract customers. 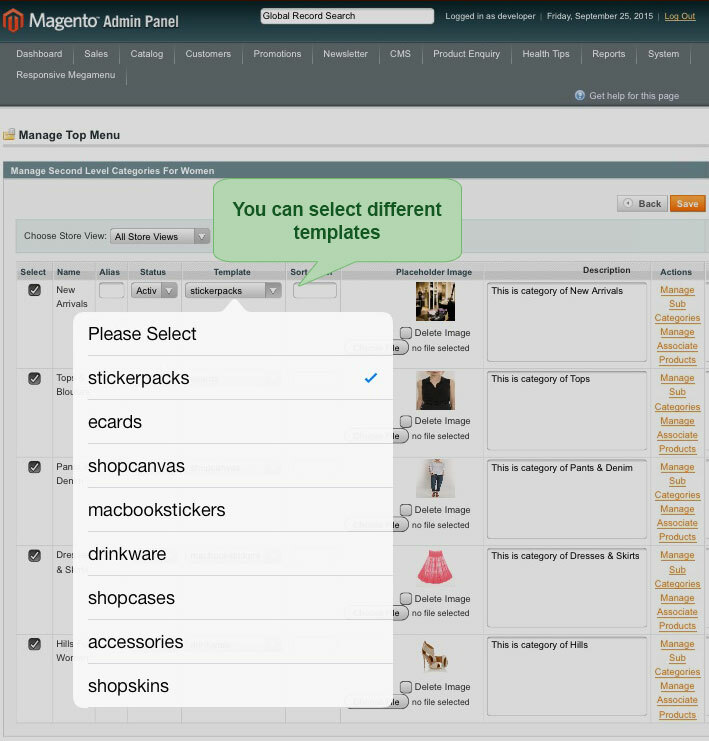 Mega Menu is designed to display and organize your products, sub-categories and categories. 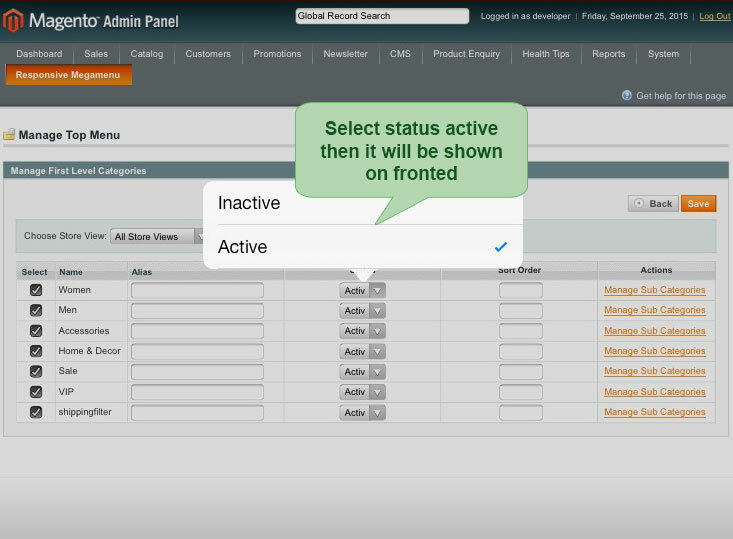 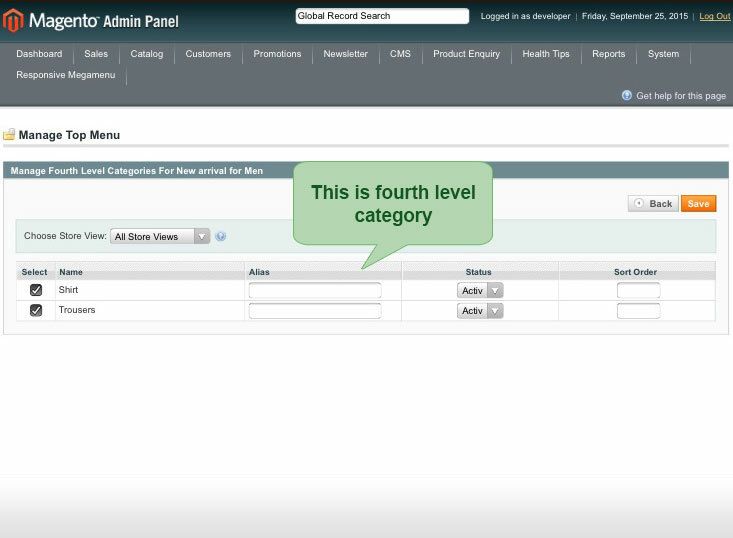 It is easy to manage and customize the drop-down menu. 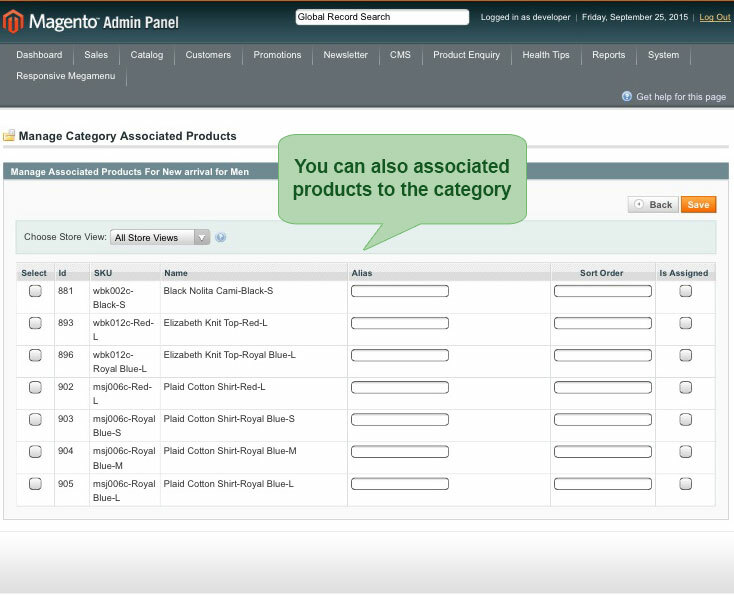 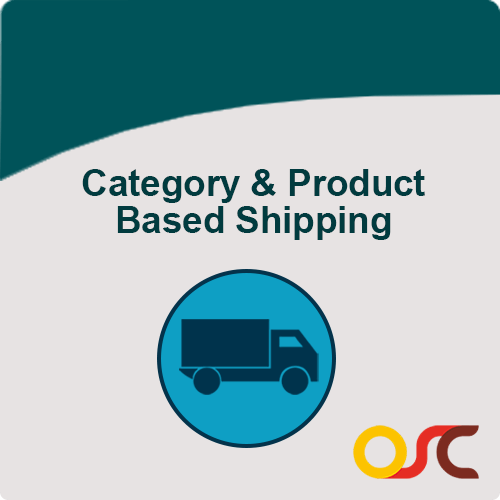 It provides flexible product category navigation and configure menu style. 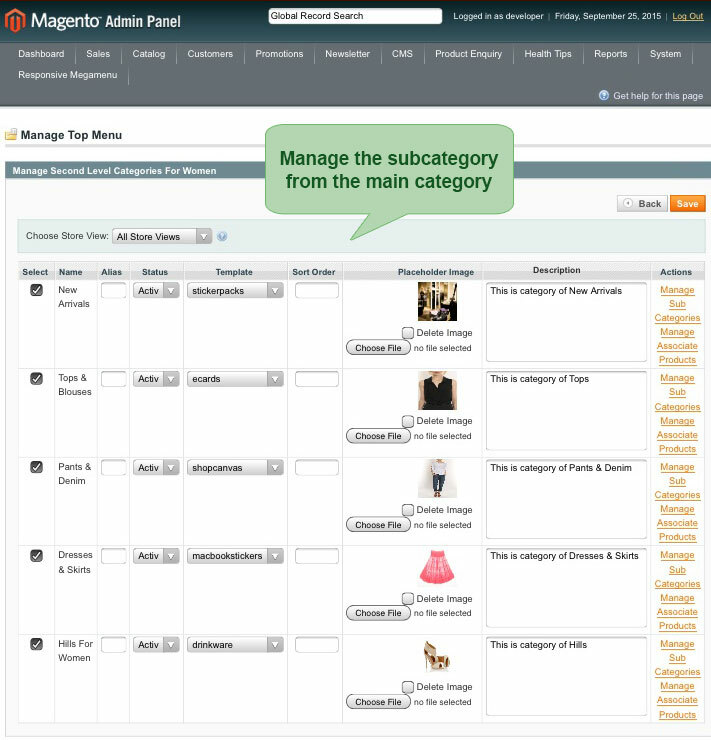 Customers can navigate and explore your site more easily & flexibly. 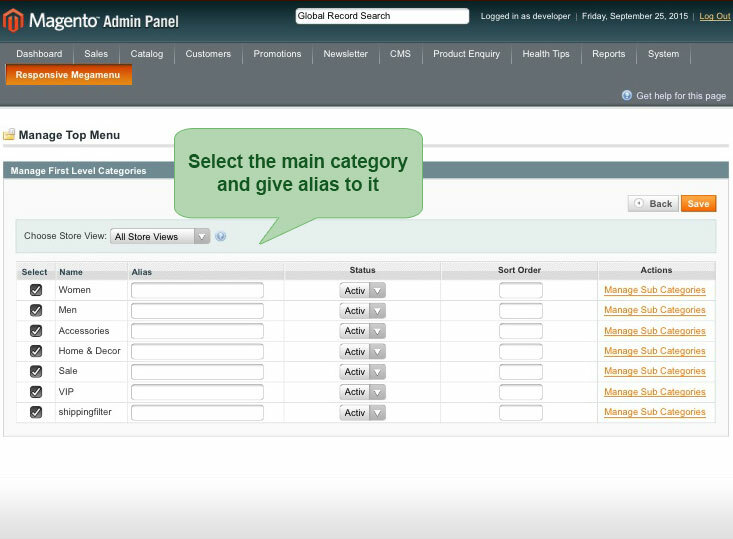 Easily create and manage menus through the back end with our helpful menu builder. 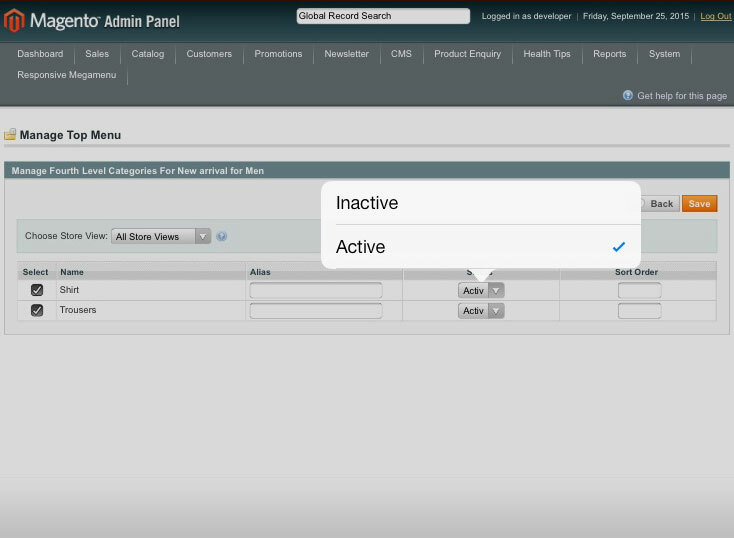 Admin can manage menu items by editing, adding & removing, according to the menu layout. 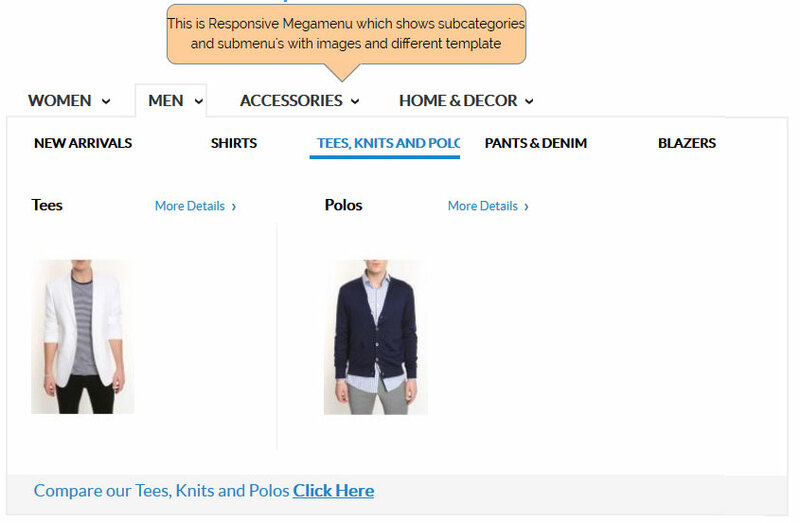 Mega Menu provides Responsive support for appropriate screens. 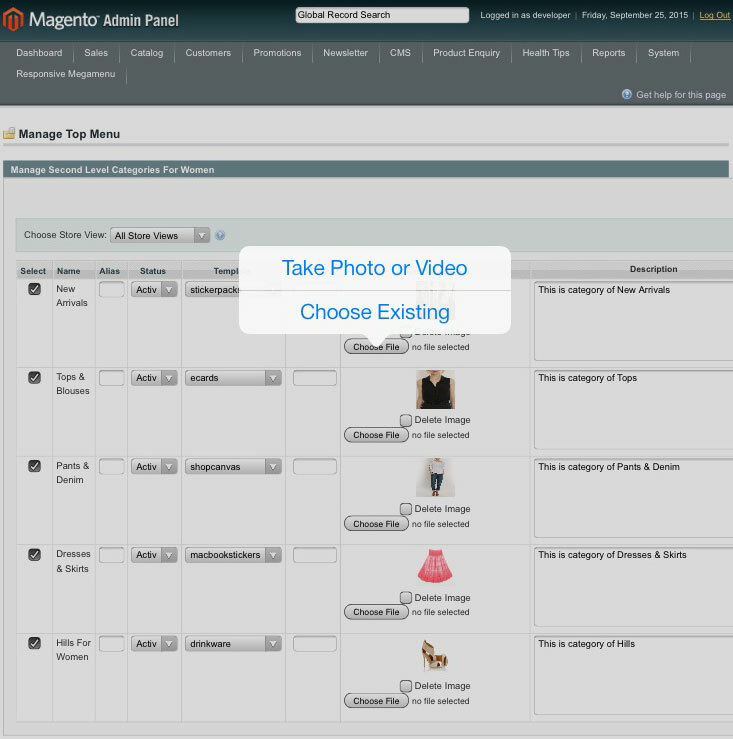 Mega Menu is helpful for visitors to find out the information they needed.